Epigenetic modification plays critical roles in many biological processes including genome integrity, development, environmental responses, and diseases. The overall goal of our research is to uncover how versatile developmental and environmental signals trigger epigenetic modifications, how cells are instructed to deposit the modification correctly in the genome, and how epigenetic mechanism enables the genome to generate adaptive responses. We address these fundamental questions at the whole genome level by combining functional genomics, genetic, proteomic, biochemical, cell biological, and structural approaches. Xuehua Zhong received her BS from Wuhan University and PhD degree from the Ohio State University in 2007. For her dissertation research, she studied how a noncoding, pathogenic RNA establishes infection. After completion of her PhD, she joined Steve Jacobsen’s HHMI laboratory at UCLA investigating the mechanism of DNA methylation in plants. In 2013, Xuehua accepted a tenure track faculty position in the Laboratory of Genetics and Wisconsin Institute for Discovery at the University of Wisconsin-Madison, where she continued working on epigenetic regulation. Since then, she has gone on to work out some fascinating molecular details on how DNA methylation coupled with histone modification regulates genome stability, developmental and environmental interaction using a combination of functional genomics, genetic, proteomic, biochemical, and structural approaches. Xuehua received several prestigious awards including a NSF CAREER award F, NIH's Maximizing Investigators’ Research Award, and Alfred Toepfer Faculty Fellow Award from Alexander von Humboldt Foundation. Bio: Xuehua Zhong received her BS from Wuhan University and PhD degree from the Ohio State University in 2007. For her dissertation research, she studied how a noncoding, pathogenic RNA establishes infection. After completion of her PhD, she joined Steve Jacobsen’s HHMI laboratory at UCLA investigating the mechanism of DNA methylation in plants. In 2013, Xuehua accepted a tenure track faculty position in the Laboratory of Genetics and Wisconsin Institute for Discovery at the University of Wisconsin-Madison, where she continued working on epigenetic regulation. Since then, she has gone on to work out some fascinating molecular details on how DNA methylation coupled with histone modification regulates genome stability, developmental and environmental interaction using a combination of functional genomics, genetic, proteomic, biochemical, and structural approaches. 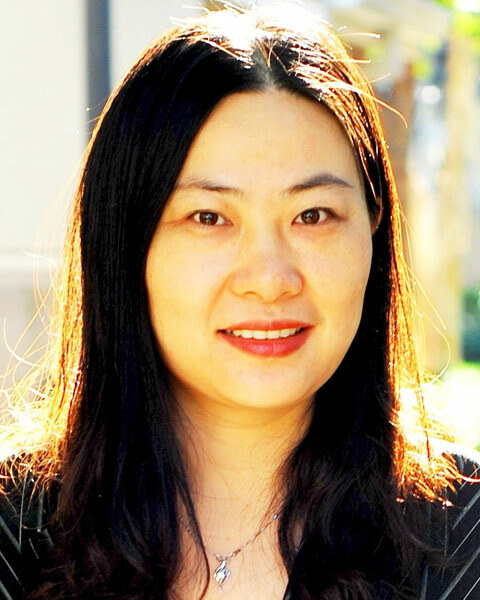 Xuehua received several prestigious awards including a NSF CAREER award F, NIH's Maximizing Investigators’ Research Award, and Alfred Toepfer Faculty Fellow Award from Alexander von Humboldt Foundation.